1. A superb production, brilliant cast, excellent design, and first-rate translation. 2. 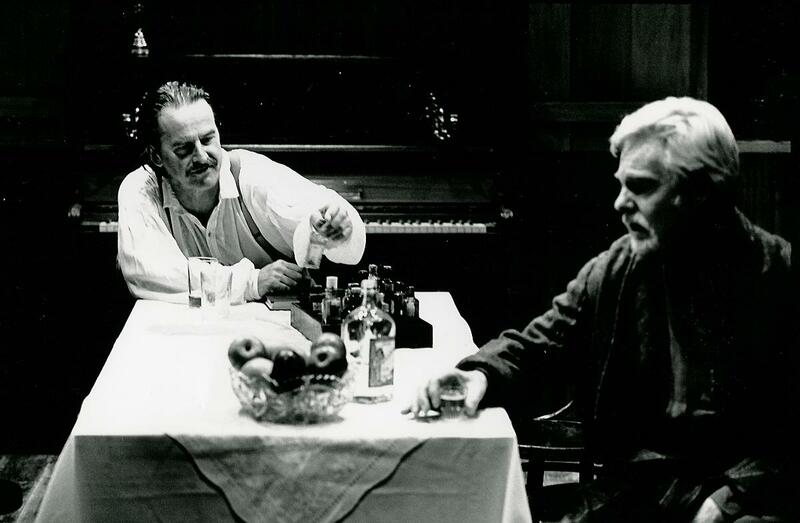 Derek Jacobi and Trevor Eve in ‘Uncle Vanya’, I felt I was sitting in the Drawing room with them. It was the first time I had seen a Chekhov play and it was so well acted that it has made me watch more, but nothing as enthralling as this production. Shortly after her towering and award-winning performance at Wyndham’s in Edward Albee’s Three Tall Women, Maggie Smith’s next stage role was entirely different but perhaps even more extraordinary. 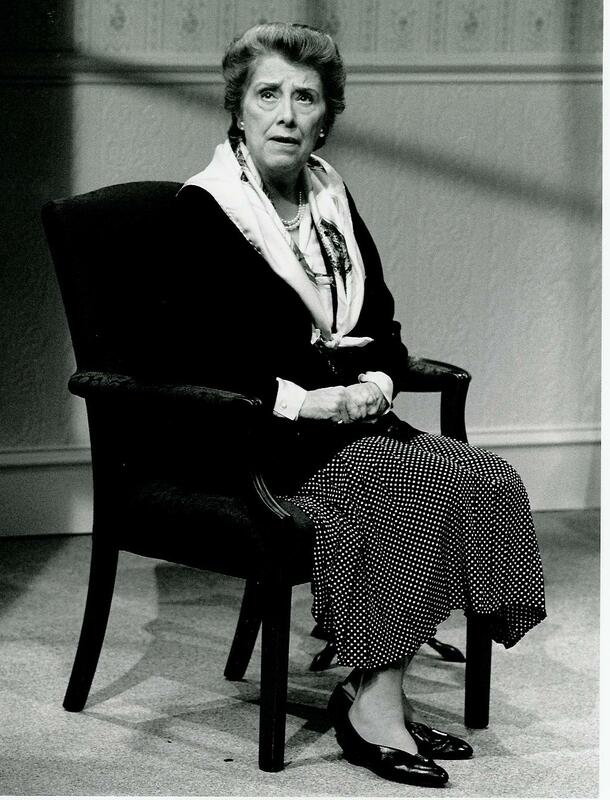 In the small Minerva Theatre at Chichester, she recreated her television role in Alan Bennett’s Talking Heads…Bed among the Lentils (also directed by Alan Bennett). In the space of 50 minutes she performed the monologue, and was extremely funny (“…Geoffrey’s bad enough…but I’m glad I wasn’t married to Jesus…”), but in an instant she silenced the entire audience, moved many to tears, and in the last 10 minutes you could hear a pin drop in that very small studio theatre, with Smith standing only feet away. I still remember the lengthy pause at the very end before people felt they could applaud. Richard Eyre in his diaries referred to the performance as, “Maggie Smith, on her own, in a class of her own”, while the Independent’s critic Paul Taylor said it was “brilliant beyond belief”, and Jack Tinker simply said that “Smith is ahead of the rest”. 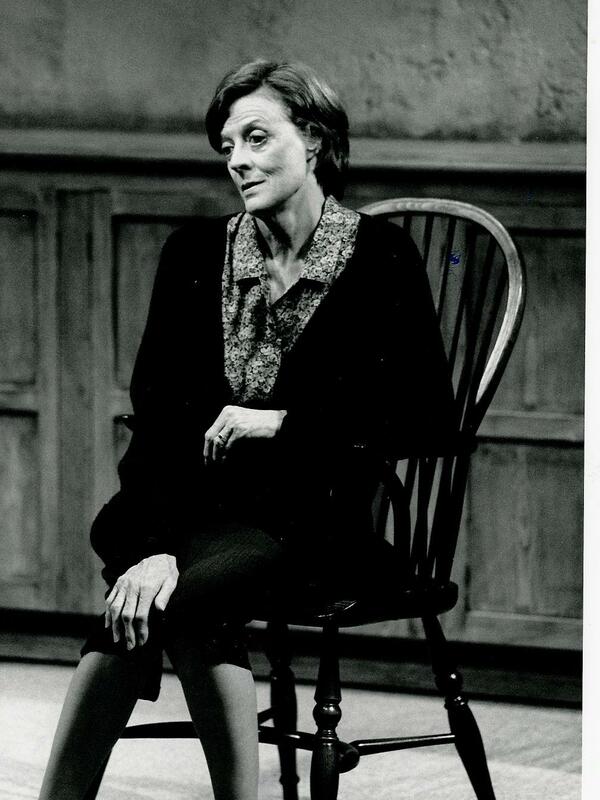 The monologue was paired with Soldiering On, performed by Margaret Tyzack, a close friend of Maggie Smith. It is a very tricky monologue, relying hugely on dramatic irony, but Tyzack achieved the delicate balance between showing enough intelligence while also hinting at self-delusion in a highly subtle and moving performance. The entire production was a highlight of the 1990s at Chichester, and was a commercial success too: it transferred shortly after to the Comedy Theatre (as it was then called), and was even revived ten years later in 2005 to tour New Zealand and Australia (in a remounted production directed by Anthony Page), where Smith won the Best Actress award of the year at the Helpmann Awards. Memories of this Chichester production may have faded due to Smith’s deserved success in another Bennett play a few years later, The Lady in the Van, but it deserves to be added to the list of Dame Maggie’s other definitive performances at Chichester…like Millamant in The Way of the World, or Desdemona in Othello.